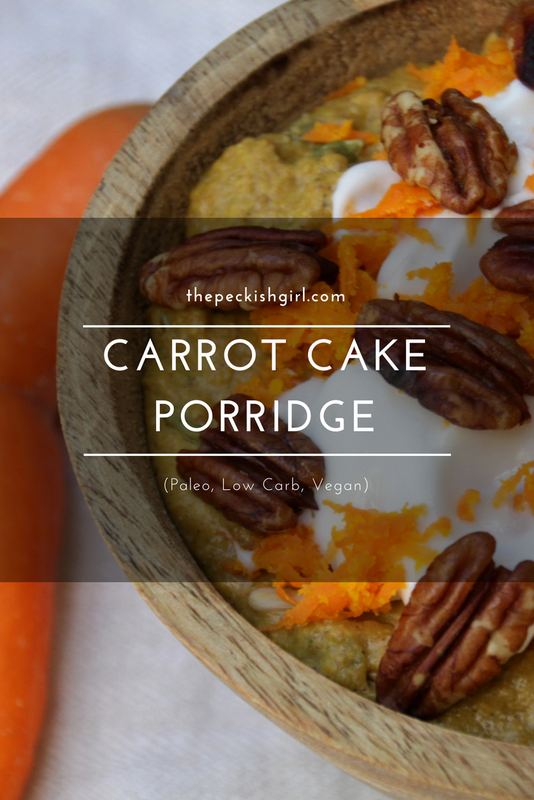 This Carrot Cake Porridge (Paleo, Low Carb, Vegan) actually doesn't contain any gluten, dairy or sugar and you can also skip the nuts, so it's suitable for people with lots of different dietary needs. But what it doesn't skip is the flavour and comfort. Pour the coconut cream and water in a pot and place it over medium heat. Add all the spices and stir them in. Then add the grated carrots and zucchini. Bring everything to boil and lower the heat. Simmer the mix for 10 minutes. 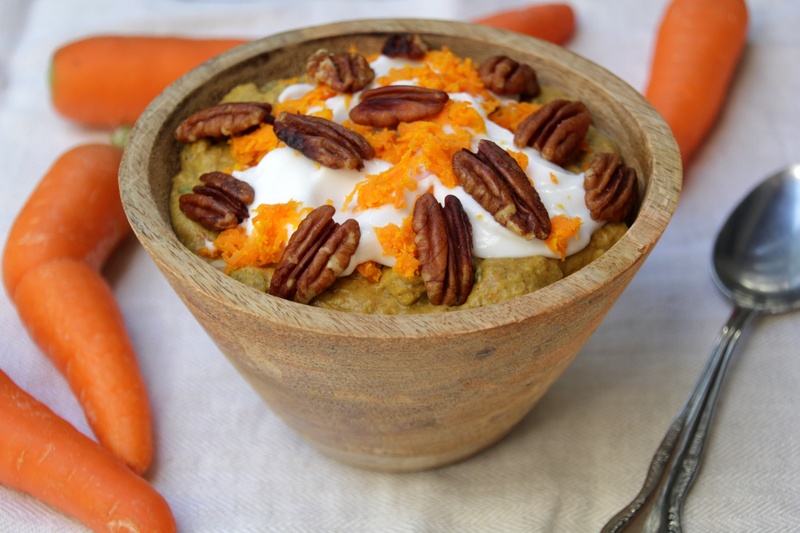 At this point you can also blend the mix, so nobody would notice any veggies in there and it would also make it smooth and creamy. Then stir in the flaxseed meal and coconut flour slowly with a whisk. Add the sunflower seeds and pepitas. Simmer for 10 more minutes, stirring thoroughly with the whisk. 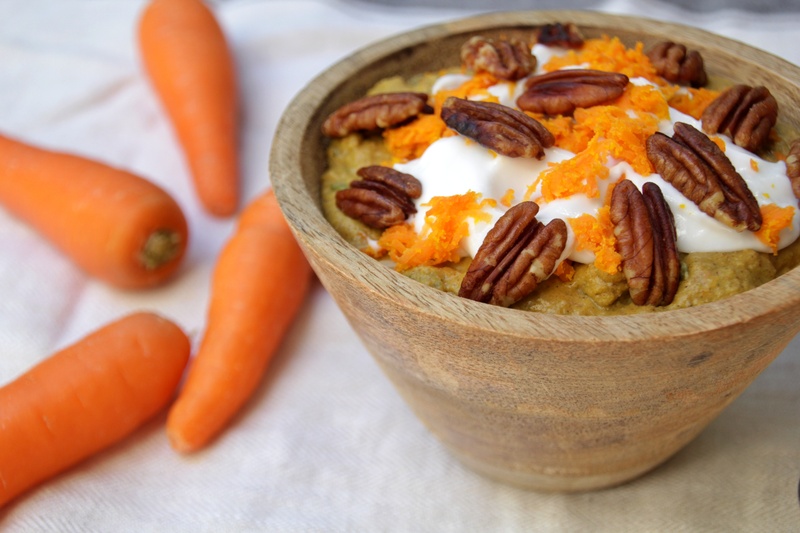 Serve with coconut yoghurt and "caramelised" pecans and candied carrots. Add the pecans and roast them up while continuously stirring for 5 minutes. Let the roasted pecans cool completely before serving. Place a small pan over medium heat, add 1 tbsp of ghee and let it warm. 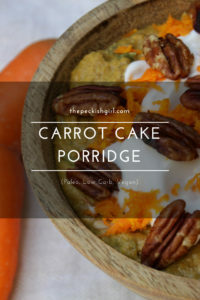 Add the carrots and sweetener and cook for 5 minutes. Let the carrots cool completely before serving.